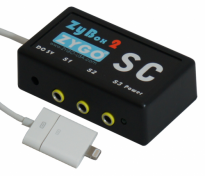 ZyBox for Windows is a USB switch adapter to allow you to connect control switches to a computer. 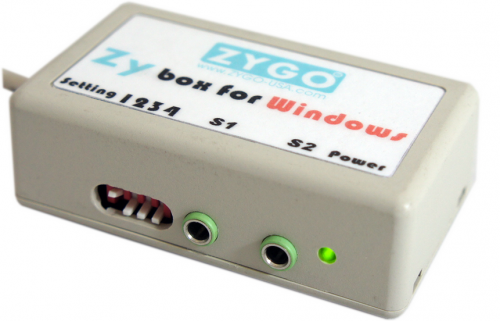 The ZyBox for Windows is a simple way to plug switches into a computer. It is a USB switch adapter you connect directly to a Windows PC by USB port. 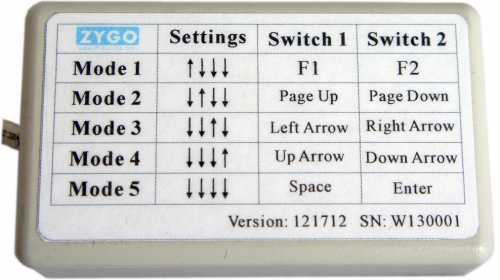 Snap in one or two control switches with 3.5mm plugs, and set up your Windows program for switch input. No drivers are required to use the ZyBox for Windows . The Windows software you control is expecting certain keyboard commands that are sent from the ZyBox for Windows when you press the control switch(es). You can choose from specific keyboard commands by changing settings on the ZyBox hardware.